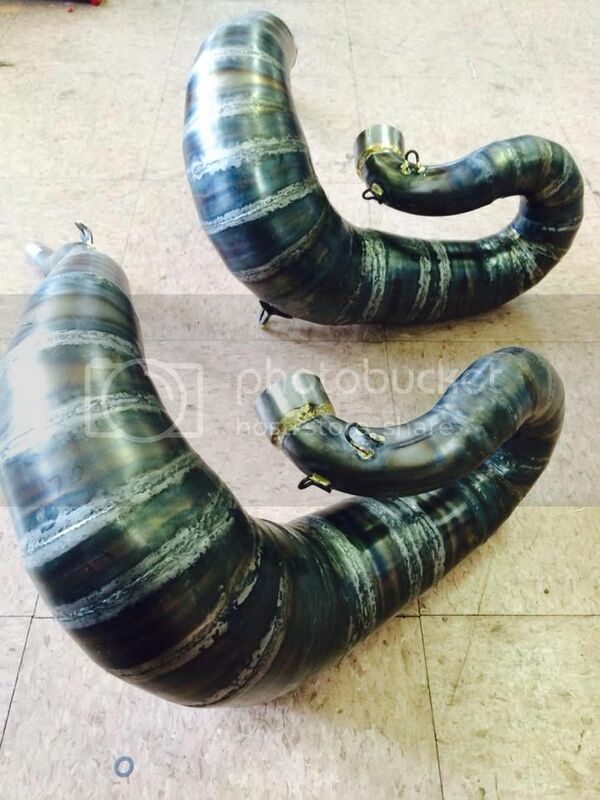 Check these babies out....Richard Wilson at House of Horsepower has these in stock, and silencers due any day now. Lot's of carbon fiber goodies are also in the works. How much? 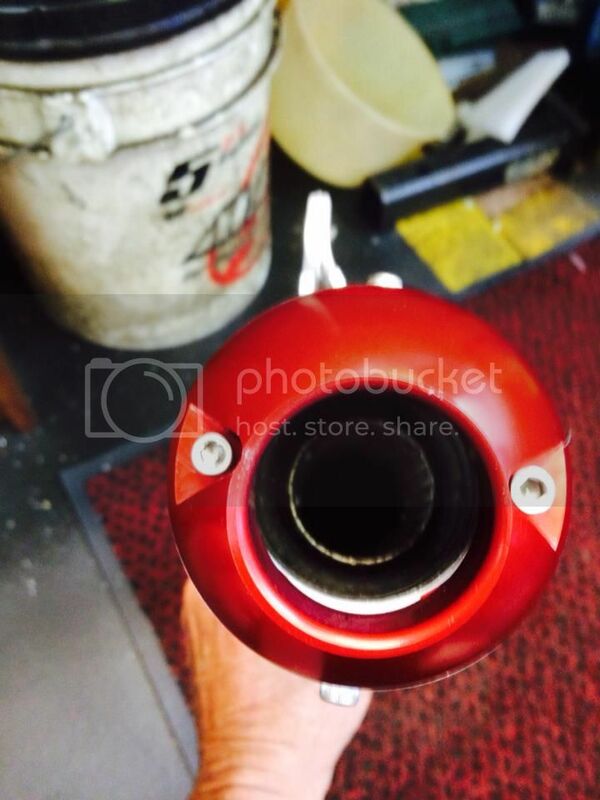 And will they bolt up to the FMF silencer? Scalvini uses a different hook for the springs I like 'em How do they work? Oh, cone pipes, so great to look at. They are also stronger than the stamped pipes. Location: Hot A@% desert AZ. Waiting on Richard to post up here and answer questions...stay tuned. Cost is $349.00. You can use another silencer but Richard advises the pipe is designed to offer best performance when using his silencer. Offers better bottom end grunt and much better over rev than the Scalvini. Also has apprx 4 more inches of ground clearance. Silencers cost $139.00 and can be fitted with spark arrestor if required. Fits 2012 and newer GASGAS. Carbon fiber guards are in route, ETA is end of this week. Pipe and silencers are in stock. He will also be offering a performance package later, which consists of pipe, silencer, guards, and carb kit. Anything else...call Richard at House of Horsepower.